The Automated Wholesaling System is a revolutionary software system that will save you time and hassles! 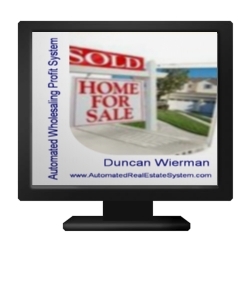 It’s like putting your real estate business on autopilot! 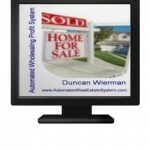 Save money and time by using our Automated Wholesaling System and Software. For the low price of only $97 monthly it will take the work out of finding properties at fabulous prices, making offers and getting your properties sold! You’ll be able to buy more properties and “flip” them to other investors quickly and efficiently, generating more profits for your business. You’ll have less hassle, less risk, and more profits! The Automated Wholesaling System and software takes all the work out of profiting in the real estate market. Simply sign in and search for property. Everything you need to make money flipping homes as a wholesaler is right at your fingertips!